JPMorgan’s fourth-quarter results offer a compelling case for cranking up the industry’s fintech savvy. 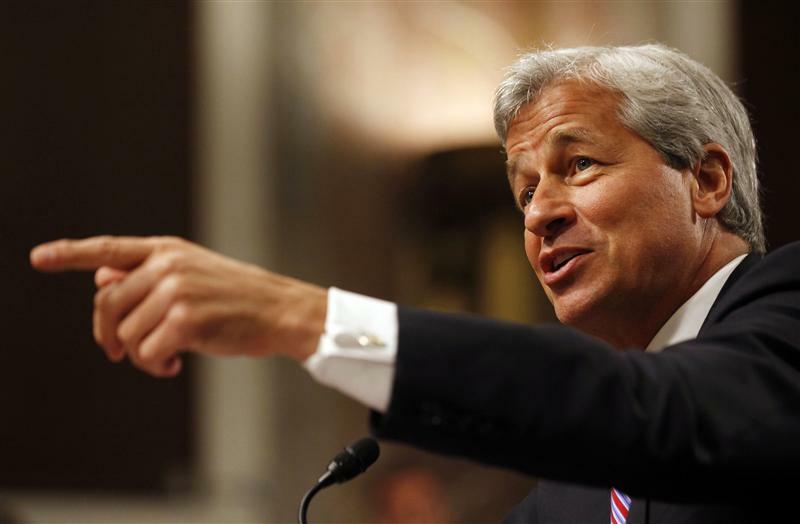 The bank run by Jamie Dimon is one of the sector’s top performers. Yet its annualized return on equity for the three months to December was just 9 percent – and relied on one-offs to get there. New technology offers a way to boost both revenue and savings. JPMorgan has done a lot to improve its operations in recent months. Core loans grew 5 percent from 2015’s third quarter and 16 percent over the course of the year. The bank cut many capital-intensive assets, including tough-to value ones, non-core deposits and over-the-counter derivatives. That means the capital buffer it is required to maintain as a systemically important financial institution ought to drop from 4.5 percent of total assets in 2014 to 3.5 percent now. Yet JPMorgan and its competitors seem destined to amble along with returns on equity slightly above or below the 10 percent considered enough to cover a big bank’s cost of capital. Dimon’s outfit, for example, is expected to earn an average of 10.3 percent ROE for each of the next three years, according to Thomson Reuters. Rising interest rates won’t help much. A 1 percentage point hike would boost ROE at JPMorgan, Bank of America and Citigroup by around 1 percentage point – handy, but hardly earth shattering. All those lenders are cutting costs. JPMorgan is already halfway to its 2017 target of reducing expenses $3.8 billion. Yet financial technology could help them do so much more. A central system for checking clients’ basic data for a number of banks could reduce back-office costs by a tenth, according to the Boston Consulting Group. Smart tech could also slash expenses in lending, invoice payments, telephone banking and other areas. A 15 percent reduction in overall bills would, for example, add 3 percentage points to JPMorgan’s ROE. Technology could also create business by making it easier to satisfy customers and find new clients. A deal with small-business lender OnDeck and a new payments system called ChasePay has already put JPMorgan ahead of many of its peers. All of them, though, could do a lot more. JPMorgan earned $5.4 billion in the fourth quarter of 2015, the company said on Jan. 14. With $1.32 of earnings per share, the bank beat the consensus estimate of sell-side analysts of $1.27 a share. Revenue was $23.7 billion, and annualized return on equity was 9 percent. Results included $1.05 billion of one-off revenue gains: $514 million from a government recovery fund concerning a savings and loan firm Washington Mutual had bought; $160 million from the bank’s stake in mobile-payments company Square, which went public in the fourth quarter; tax benefits of $200 million; and $178 million from recognizing the unamortized discount on some debt securities that the bank bought back at par. JPMorgan also had $417 million of after-tax legal expenses.